It was so nice being back in Kingston this weekend, and to be again competing in the Multisport Canada K-Town Long Course tri. The distances are a bit unusual for this race: 2k swim, 56k bike and 15k run – fitting nicely between Olympic and Half-Iron distances. The swim is in the harbour right downtown Kingston, the bike course goes over the causeway and up Highway 2 to Gananoque, and the run course goes the opposite way from downtown along the water and through Lake Ontario Park. Having lived and trained in Kingston for 2 years it was wonderfully familiar and more than a bit nostalgic. My goal for this race, having had very little longer distance training under my belt until very recently, was to finish hopefully not too far off my time in this same race last year. I accidentally biked 86k a week ago (you can look at a map all you want but it’s always way more difficult remembering how to go back the opposite way – I took a right where I should have taken a left!) so I knew I could at least do the bike distance, but was pretty worried about the swim and run, and especially about fuelling. The swim felt LONG. Like two weeks ago in Gravenhurst, I was able to get on Billy’s feet right away and stay there. This time though it was really hard to keep up. I felt like a little kid on a long car ride whining, “are we there yet?” (except in my head) the entire way. The conditions were okay though, not too choppy, and sighting wasn’t a problem. I got a bit of a second wind right at the end and got out of the water feeling good. It was hard not to start out the bike a bit too fast, but I think I did a decent job. This was probably mainly because we had a headwind on the way out. I used to bike this road all the time and can say that this is a rare occurrence – but one that is always really nice during a race. Once I hit the turnaround, I felt like I was flying on the way back. Knowing how much longer I have based on familiarity of the race course rather than just the signs is a huge help and made it go by pretty fast too. I finished off still feeling pretty good, but I was dreading the run while still about 10k left on the bike – it was midday by this time and starting to warm up. The run I’d been dreading started off badly right off the start – I grabbed a drink in T2 and drank so fast I started choking, and was still coughing for the first 100m or so of the course and struggling to catch my breath. Once I did though I settled into a comfortable, but painfully slow, pace. Focusing on staying relaxed and looking around at the route I’d run probably every other day back when I was running with the Queen’s team helped the time go by. Nearer to the end there were a couple times I was tempted to walk which I mostly avoided – although I did start coming to a full stop at the aid stations to make sure I got enough fluid in which I think helped. I didn’t end up having the two gels I was carrying – I was just bordering on nausea most of the way - but I think that’s a goal for the next long course race. I finished the race 12 minutes slower than my time last year, good enough for 10th place overall female and was first (only) in my category. Overall I was happy with it – and had a lot of fun. I’ve forgotten how fun longer racing is – you can really settle into a rhythm and at the end of the day it really feels like a big accomplishment regardless of your time or placing. It was also especially great crossing that finish line after not being able to finish my last race! As always Multisport Canada provided a fantastic, fun environment and the Recharge with Milk tent did not disappoint! It was also great seeing my teammates and other competitors/friends, both old and new. You don’t meet triathletes that aren’t friendly and encouraging, it just doesn’t happen. Everyone is so great. One of my favourite aspects of these races is that everyone has their names on their bibs, so I was getting complete strangers (both spectators and other racers) cheering me on by name throughout the course. - Lou and the guys at MainCycle in Hamilton – thanks for fixing the flat and giving me prevention tips for further races! Worked out great! 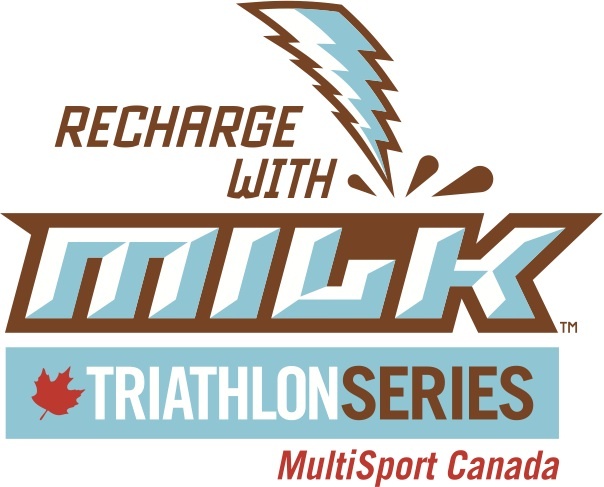 - John and the rest of the Multisport Canada/Recharge withMilk team – thanks as always for putting on a great race! 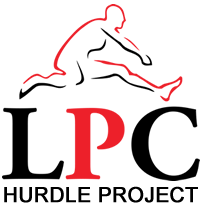 - Coach Mark and the rest of teamLPC – thanks for getting me to the start line prepared to race! And thanks for reading! Next up, MSC Toronto Island sprint tri in 3 weeks’ time.